A small fleet of Seaflys were raced at Wewak Yacht Club in Papua New Guinea. They were either built from South Devon BoatBuilders kits or imported from Australia. I was fortunate to pay a flying visit to Wewak, in New Guinea (only three degrees from the Equator), and to be able to compete in the Wewak Yacht Club’s first race of the 1971/72 season, early May. There are six Seaflys in Wewak and only about six boats of other types, including a Moth, a Hornet, a Flying Tern and a couple of Herons. The Club hopes shortly to acquire its seventh Seafly.Of the Seaflys at Wewak, four were built from kits provided from South Devon Boatbuilders in Britain, from where the Class originated. The first hull – No. 232 (Dryfly) – was finished in 1967 and another has been built each year since then. The driving force behind the building of the boats has been Mr.Denny Barnard and his efforts, and those of his helpers, have been amply rewarded by four very handsome craft. The sails are English too – from Lucas the sailmaker – and the mainsails and spinnakers are much the same as the ones recently made by Hood sailmakers for the Australian Class Association to the British measurements. The Wewak boats have not had a great deal of success in carrying their spinnakers shy and this tends to confirm our experience in Canberra with the English designed spinnaker, that it is not as efficient as the Australian sails. 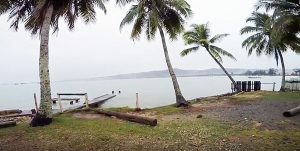 The additional problem in Wewak is the under-length spinnaker poles which is a major disadvantage in trying to carry a balloon spinnaker shy.The Wewak Yacht Club does not have a Clubhouse at this stage; up until now it has only managed to obtain a lease on a block of land on a 12 monthly renewal basis and it is not prepared to commit a lot of money with such an indefinite lease. It does however, have a workshop that includes sufficient space to store half a dozen or so boats. There are about 50 members in the Club. The sailing season starts in early May and finishes in late November and there is a race each Sunday afternoon. The ‘sailing widows’ start the races from the shore and record the finishes. In the race in which I competed, there were six competitors, made up of four Seaflys, a Hornet and a Flying Tern. I was sailing ‘Blowfly’ (No. 75), one of the originals of the Class imported from Canberra (1963 vintage, with original suit of sails) with Mrs Robin Tranter, the wife of the present owner, as crew. She had been sailing only three times before, had never used a spinnaker but acquitted herself well. At the start ‘Blowfly’ managed to gain both an actual advantage and a psychological one, by sailing along the line on starboard tack compared to everyone elses’ port tack, and thereby, caused some rapid changes in courses. First across the line was the Hornet (Bill Graham), 30 seconds ahead of Denny Barnard in the first Seafly, with third to ‘Blowfly’, five minutes later. The total racing time for the Hornet was 2 hours 4 minutes. 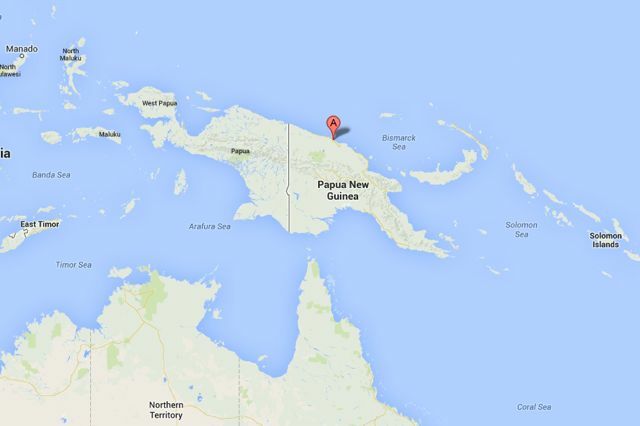 The other Seaflys in Wewak are No. 231 (Peter Godfrey) and No. 94 (formerly of Canberra) (Dave Richards). 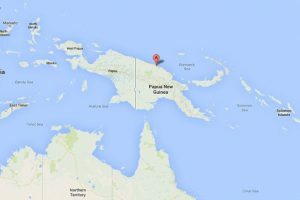 The hazards of sailing in Wewak were to me, the same as those of sailing in Moresby – the heat and the inevitable reefs. The light wind was another one but this is apparently to be expected in the doldrum period. Wewak itself is a delightful tropical township with numerous rusting wrecks from the last war scattered around the beaches and I can well imagine the fun of sailing in the SE trades season when the winds vary from 10 to 25 knots. The case concerned two Seaflys and involved Rules 43.1 and 43.2 (a)(i) – A yacht hailing for room to tack at an obstruction shall tack immediately she is able to do so.